Engraves on stone, glass and painted metals. Can cut 2-3 mm (1/8'') of wood and plywood with one pass. Can cut 4 mm (1/6'') of dark acrylic with one pass. A powerful tool for any 3D printer or CNC router. * the maximum peak power output in the impulse mode. Continuous power may be a bit less. Do you need a powerful cutting / engraving instrument? 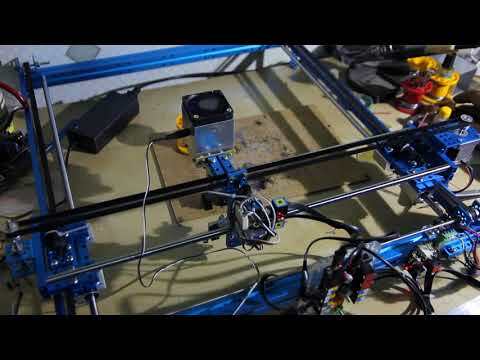 Do you own a 3D printer or CNC router? Experience our 5.6 watt laser, install it on your 3D printer or CNC machine. A 5.6 watt laser is a plug-and-play device. Does not require any soldering or complicated wiring. №1 customer support: promt answers, variety of comunication methods. Use the same slicers you always use like: Cura, Repetier, Slic3r, Simplify3D or CNC software like: Mach3, etc. To prepare a g-code use an Endurance plugins or T2Laser software. Buy the "powerful" 5.6 watt (5600mW) laser today! Would you like to turn your 3D printer or CNC router into a powerful laser engraving or cutting machine? 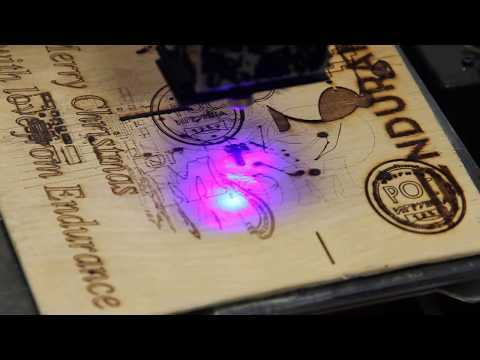 Back to 2016 Endurance has invented a way to convert your 3D printer or CNC router into a cutting or the engraving machine with an Endurance 5.6 watt diode laser. The Endurance laser is the best upgrade for your current 3D printer / CNC router. An ultimate tool for your CNC machine and a 3D printer that converts it into laser cutting / engraving / etching / welding machine. 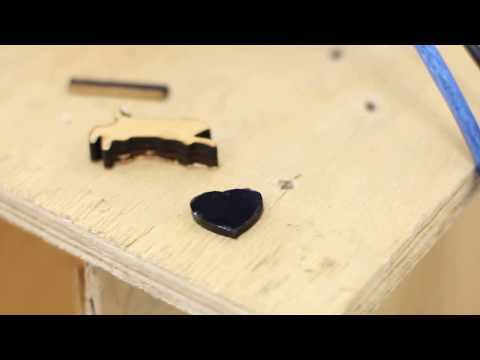 With a 5.6 watt Endurance diode laser you can engrave faster and cut deeper into materials such as plywood, wood, acrylic, cardboard, hardboard, felt, leather, plastics such as ABS, PLA and more. The 5.6 watt (5600 mW) diode laser is a powerful and pretty advanced laser attachment to upgrade your 3D printer or CNC router with and is able to create beautiful engravings and laser cuts. It is very easy to install and does not require any special knowledge. It can be installed on almost any 3D printer or CNC mill. If you have any issues during installation or operation, we are always available for help and assistance. Laser driver is one of the most important component in the laser module. Laser driver controls the voltage and the current that goes to the laser diode itself. It is important so that the laser driver sets and keeps the voltage and the current stable. It keeps the laser diode safe. We add Zener diode as an additional laser diode protection. TTL wire / wires are also added to the laser driver. With TTL digital signal (3.5-12V range) you may change laser power (duty ratio). For 5.6 watt Endurance laser we make our own custom based laser drivers. All Endurance drivers / laser control boards are very reliable and been tested before shipment. Everything that you need to know about Endurance accessories. always wear red or green goggles when you operate the laser. Remember Endurance lasers are class 4 item and must never be aimed in any live specie. short focal lens with focal range 2-10 mm (1/10 - 2/5’’) a necessary accessory for laser cutting or laser engraving on metals. variety of a different wires and connectors that will be useful when you plug the laser to your board. aluminum mounts that will help you to hook the laser to you machine. 4 types with M3 screws: L, П, I, T.
a Z axis actuator that will help to change laser position on Z axis. Is a good option for XY plotters with no Z-axis mechanism. an additional power supply for Endurance lasers. an additional power supply for 10 watt laser fans. a DC/DC converter that decreases the voltage down to required 12V for Endurance lasers. is a nice gadget (add-on) for your laser module to measure incoming voltage, outcoming voltage and current on a laser diode, laser driver module, Endurance MO1 PCB, temperature sensor and Arduino board for changing laser power. allows changing laser power (duty ratio) and a frequency of the laser. Can change the laser into impulsive mode. additional temperature sensor for monitoring of a laser temperature. additional voltmeter for measuring incoming voltage. additional voltmeter & ammeter for measuring outcoming voltage and current that goes to the laser diode. a full it that will help you to check pins on your board, laser power, etc. laser addition that allows blowing the air to the place of laser cutting / laser engraving. Increases speed of a laser cutting up to 50% and reduce charring. 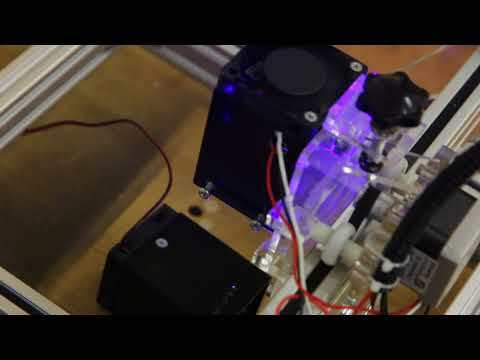 Peltier cooling system for better laser cooling (increases power up to 10%). The 5.6 watt (5600 mW) diode laser is very easy to install on almost any 3D printer ande CNC mill using compatible mounts for the Prusa i3, X-carve, Creality3D CR - 10, Wanhao Duplicator i3, Ultimaker, RepRap, Magnum, Prism, Makerbot Cube, Picasso, Hercules, SolidDoodle, Original Prusa i3 MK2, BCN3D SIGMA, Form 2, PowerSpec 3D Pro, ORD Bot Hadron, Zortrax M200, Kossel, FlashForge Creator Pro, CEL Robox, FDM and others. If you have a printer not listed, please contact us and we will organise a mount for you. Our lasers are very easy to operate using standard software and run on the existing 9-16V of your 3D printer or CNC router. In order to create a laser engraving or a laser cut with our 5.6 watt laser all you need to do is put the piece you want to cut or engrave onto the work top. Just convert a jpeg image into a vector image and then convert it into gcode. Start the machine and enjoy watching it do its job. If you have any questions we will be happy to assist you any time. Just contact us via email or on our Facebook page. A 5.6 watt laser can cut up to 3-6 mm (1/4'') of wood and plywood (with multi passes and sometimes require additional blowout). Create a g-code using Endurance line shading plug-in for Inkscape. 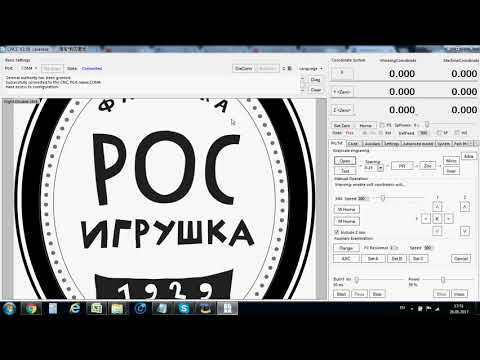 Create a g-code using JTech Photonics & Endurance G-code plug-ins for Inkscape. Prepare a photo for laser engraving using Endurance line shading plug-in for Inkscape. Create a g-code using T2Laser software. CNCC LaserAxe full video guidance. 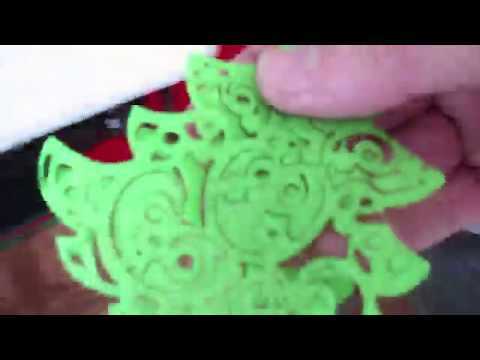 How to create a g-code for laser cutting of a 3D model. Convert any 3D model into slices. How to create seals and stamps in Inkscape. The laser I got from Endurance laser was everything I expected, and more. Pre-purchase support was awesome – I don’t think they sleep, as every question I asked was answered with amazing promptness. I was able to find what I needed on their support web site to integrate the laser into my CNC machine – it really was quite straightforward. I can easily recommend Endurance laser. Please, check the power adapter’s (voltage & current) performance. Connect the TTL wire to the 12V+ to test if the laser is working. It should work full power. Watch this video. Please check the g-code parameters (S / L) used for the pin to change the power. Either your PWM does not change the duty ratio or the contact of any of the laser connectors (if you run without TTL) is broken. Check with the voltmeter and ammeter if the voltage on this pin changes. Watch a video about TTL signal. Arduino with TTL. We need to see a detailed photo and video of what you have done to help you with further steps. Sometimes 13N10 or LM338 die and need to be replaced. We will guide you how to do that. How do I find a proper pin to connect the laser? We provide an ultimate guidance and tutorials. 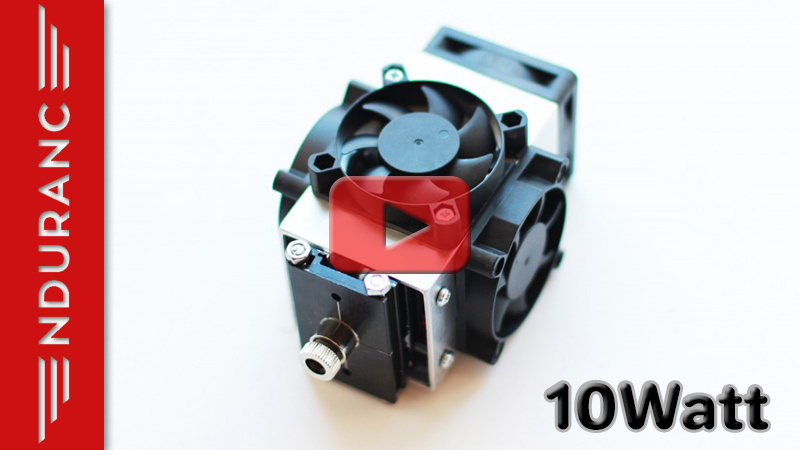 The laser is usually connected to the fan output on 3D printers or spindle output on CNC machines or can be connected to any other pin that is controllable, such as: D11 on the Arduino Nano. Detailed pinouts you may find here. The laser lost its power. The probability that this might happen is 5%. It might happen due to overheating. Avoid the laser diode and laser control board overheating. Check the temperature of the heatsink or laser driver. They must not be VERY hot (if you can touch these elements and hold on – it means that the temperature is less than 70C). If the temperature rises too high we can guide you how to reduce the voltage going to the laser diode and causing the loss of power. use a G-2 lens for laser cutting. make sure that the lens is clean and has no dust on it. Speed and amount of passes are really depends on material, color and even humidity. Do not miss our current discount! Proceed with the purchase and get the best price! 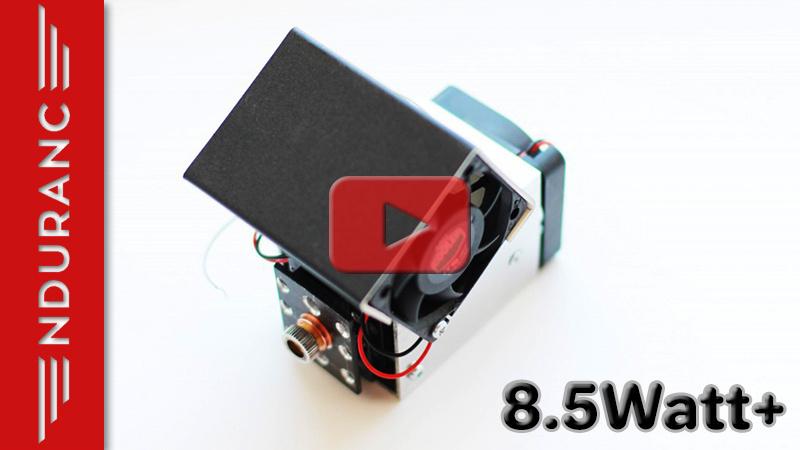 5.6 watt (5600 mW) diode laser attachment (improvement) for any 3D printer and CNC router. Laser cutting / engraving instrument. A 5.6 watt laser is a plug-and-play device. With this laser, you can engrave and cut a variety of materials such as: plywood / wood, MDF / balsa, аcrylic, PLA / ABS, felt / fabric, paper / cardboard, hardboard, stone, glass, anodized and painted aluminium and more. 5.6 watt laser supports 9 – 16 volts. To operate 24 volts you need an additional step down “buck” converter (available when you place an order). Learn more about useful accessories. Buy the “powerful” 5.6 watt (5600mW) laser today! Laser attachments and laser engraving (marking) machines. Why do our customers buy lasers and engraving machines from Endurance? We assist and give advice by phone / email / messenger / telegram / whatsapp / viber. We help to install and tune the laser. We offer qualified after-sales support. We ship everything you need in one parcel to get started. We ship all units within 4-24 hours. All our lasers are tested and could work up to 10000 hours. Do you have an old model? Upgrade your unit with more powerful one. All Endurance lasers have the truly advertised rated power output and can work continuously for more than 48 hours!. Do you want to see a video of a live test results of the continuous laser power of Endurance lasers? Try our powerful 5.6 watt laser now! We’d like to tell you about possibilities, which a 5.6 watt laser opens. Can be mounted to almost any 3D printer or CNC mill. Its main difference from 2.1 watt and 3.5 watt is inside. It has a more efficient cooling system and a more powerful solid-state diode. We use high-quality NICHIA diodes with 445 nm wavelength. Another difference is the current strong demand. It draws 3 – 4 amps, while a 2.1 watt (2100 mW) and a 3.5 watt (3500 mW) lasers need only 1.7 – 2 amps with the same voltage of 9-16 volts. Our tests showed that the laser is able to work 48-72 hours non-stop or perhaps even more. The 5.6 watt laser easily cuts plywood and acrylic 3-5 mm (0,1-0,2″) thick, and it even cuts plywood 8 mm (1/3″) thick with many passes (requires Z axes for that). This fact is remarkable because a СО2 laser needs to have more than 60-80 watt to cut plywood this thickness. The ability to cut 8 mm plywood and 5 mm acrylic allows solving a lot of customers’ practical tasks. You may create beautiful masterpieces. It should be mentioned that the same materials in different environmental conditions (temperature, humidity, etc.) might require different parameters of cutting. The color and transparency of the material matter. The content below shows the tested materials and cutting parameters of the 5.6 watt diode laser. Please note that when cutting plastic, acrylic and PVC you need to use the hood or work in a ventilated area to avoid poisoning with harmful gases, such as chlorine. It should be specified that these data are approximate, as there are many varieties of material. Parameters for laser cutting using 5.6 watt Endurance laser. We used a few kinds of three-ply. Though all ply samples looked absolutely the same we obtained different results. You can not just cut plywood, wood and acrylic with the 5.6 watt laser but you can also make workpieces for breadboards (on copper-plated glass fiber plastic) and for aluminum engraving. The laser fits not just for cutting but for engraving as well. We wrote about it in our early articles. 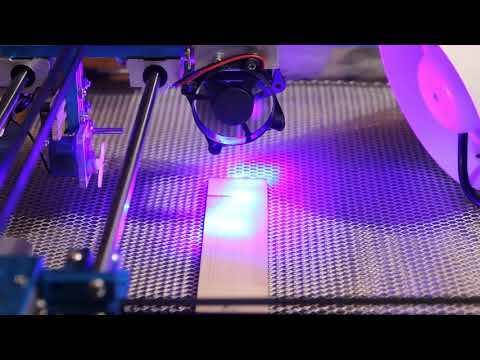 Lasers are compatible with any CNC machines, plotters, and 3D printers and are easy to install. Can you make something better? Proceed with a purchase of a 5.6 watt laser! Stylish industrial design using light aluminum. Effective cooling system with a custom developed heatsink. True constant power output checked every time before shipment. Very efficient and reliable laser control board. Compatible mounts with most 3D printer & CNC machines. Adjustable laser power via TTL. Preset and tested laser focus. Additional protection of the laser diode. Air pump Hailea ACO-318 for cleaner cutting and engraving (less charring). Arduino board for changing a duty ratio (laser power) and frequency (periods of on/off position). TEC cooling system for better laser cooling (increases power up to 10%). Additional metal mounts (easier to hook and mount). Additional laser connectors (all compatible mounts for the main board). Temperature sensor to control the laser temperature. Wi-Fi camera to monitor the laser operation remotely. Voltmeter + ammeter to monitor the laser power consumption in a real time. Additional step-down “buck” DC/DC converter to run 2.1W, 3.5W, 5.6W, 8W, 8.5W lasers from 24V pin. The Endurance MO1 PCB to feed the laser from an external power source. G2 (short focal) lens for better and faster laser cutting and metal engraving. Endurance provides the best tech support for our customers. 1. 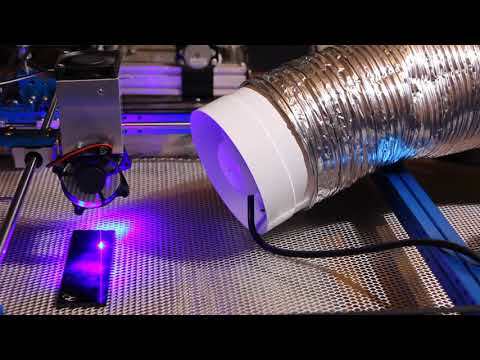 Prompt responses explaining about how to connect the laser to your 3D printer/CNC machine or XY plotter (Whatsapp, Viber, Telegram, Facebook messenger, Twitter, Skype, E-mail). 2. Detailed guidance to prepare a G-code for laser cutting/laser engraving (video playlist). 3. Friendly and dedicated Endurance facebook community. 4. Immediate troubleshooting. 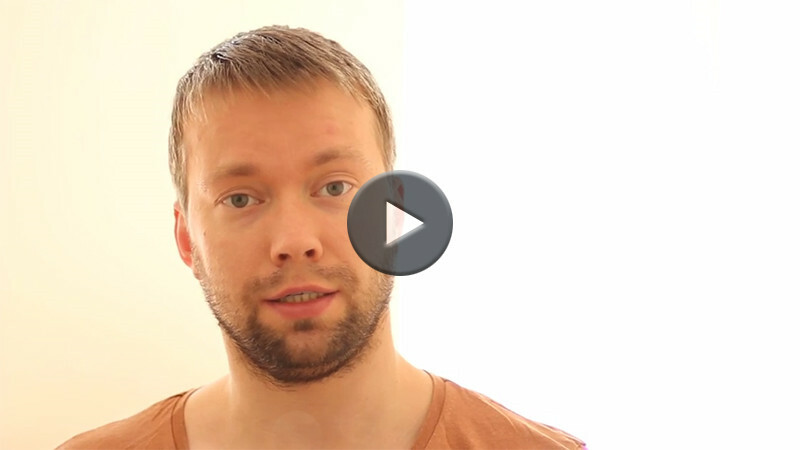 Remote help with measurements and necessary tests (video call + TeamViewer). 5. Lifetime warranty on all Endurance lasers. 1. Ultimate and promt tech support. 2. Rated and continous high power lasers. 3. Reliable and lifetime warranty. 6. Fast and secure delivery. 7. Big library with detaliled guidance and tutorials. 8. Research and donation programs with universities all over the world. 9. Simplified customs clearance procedure. 11. Free plugins for g-code preparation. 12. And… more than 1,7K customers already chose Endurance lasers. Our customers make and share their project with us. 2x laser beam. Do you know that you can double your laser power? If you already have a laser: 5.6 watt, 8 watt, 8.5 watt, 10 watt. Get a second laser to convert your laser into a 2x laser attachment. Get a free aluminum platform and special off on the Endurance 10 watt laser. Install both lasers and focus them at one spot. Get more power out of 2 lasers at a time. Special mounts and laser connectors for MPCNC, Stepcraft, X-carve, Shopbot, CNC Router Parts, GarageWorx, Shapeoko, Laguna, CaMaster, Axiom, Shop Sabre, Probotix CNC machines. A strong and friendly CNC laser community with advanced skills and knowledge. We ship everything you need to get started. 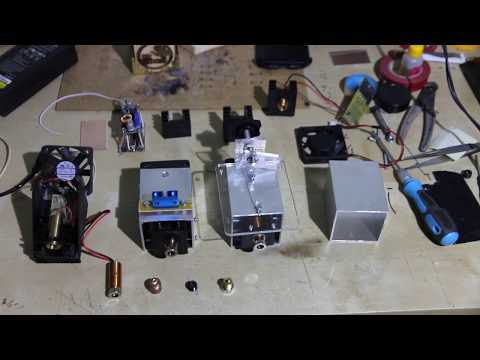 It will take 5-15 minutes to mount and wire the laser to your 3D printer or CNC machine. All Endurance lasers are plug and play. Just mount the laser to the spindle or extruder without removing them. Connect wires to the fan/spindle/laser pin on your board. Use the same software, just generate a g-code and run the laser from your computer or SD card. IN 4Q 2018 we passed a certification procedure in Russia. All Endurance lasers are assembled and tested manually which reduces the risk of failure. Every single laser is been tested before shipment on a special testing stand. All prices include all sales taxes but do not include import duties. However, in 98% shipments our customers do not pay any additional taxes or customs duties. We fill all papers carefully for each country following regulations and importing rules. Get an instantaneous help over any messenger indicated at the top and bottom of the page (under phone numbers). Your safety and security is our top priority. All Endurance lasers are shipped with protective goggles. Operating lasers wearing protective goggles is secure and harmless. However, if you want an additional protection you may add an acrylic plate or window to your 3D printer or CNC router. It should be made out of black, green or red acrylic. It will not let the laser light go out and will make the laser operation more comfortable. Keep in mind that Endurance lasers do not affect 3D printer bed so no additional protection is required. All Endurance lasers are class 4 lasers. Keywords: 3D printer, plug-and-play device, plywood / wood, MDF / balsa, аcrylic, PLA / ABS, felt / fabric, paper / cardboard, hardboard, stone, glass, anodized and painted aluminium, diode laser. Key concepts: laser engraving, cutting on materials, 3d printer accessory, 3d printer add-on, 3d printer improvement.